Start Your Own High-Paying Career In Welding With This Welding Course - At last you can now start to learn welding - the art of joining and cutting metals - right at the comfort of your home in your free time! The Welding Course is the textbook equivalent of a hands-on welding training. It prepares and orients you to the basic as well the advanced. It contains all necessary information and data in one volume, making it possible for the workman to use one source for securing a knowledge of both principle and practice, preparation and finishing of the work, and both large and small repair work as well as manufacturing methods used in metal working. 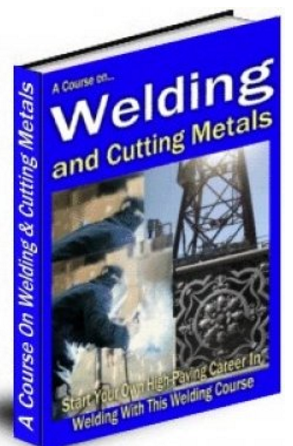 With almost a hundred illustrations, the 50,084-word Welding Course will guide you step-by-step towards learning the art and craft of joining and cutting metals.